Dust up over at Ilyka’s. And although I have been warned (hee! awesome! ), I have just a couple of other things to say. I bought this ceramic bank a couple of years ago at an antique store not far from my home. It sits on my kitchen windowsill, above the sink. 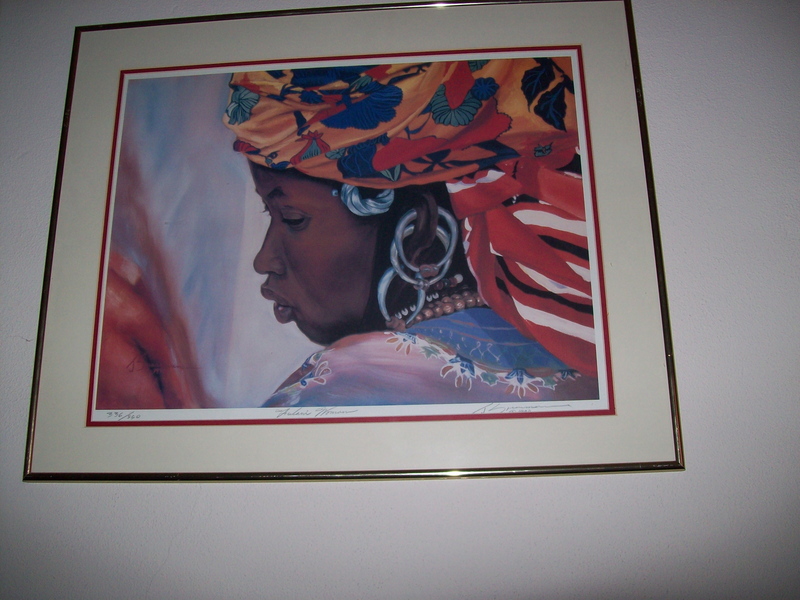 I see it every day, as I do other images of black women that I collect and display in my home and in my office. I collect these images, in part, to counter the many negative images that are out there (including the images that are created and perpetuated by my own people). 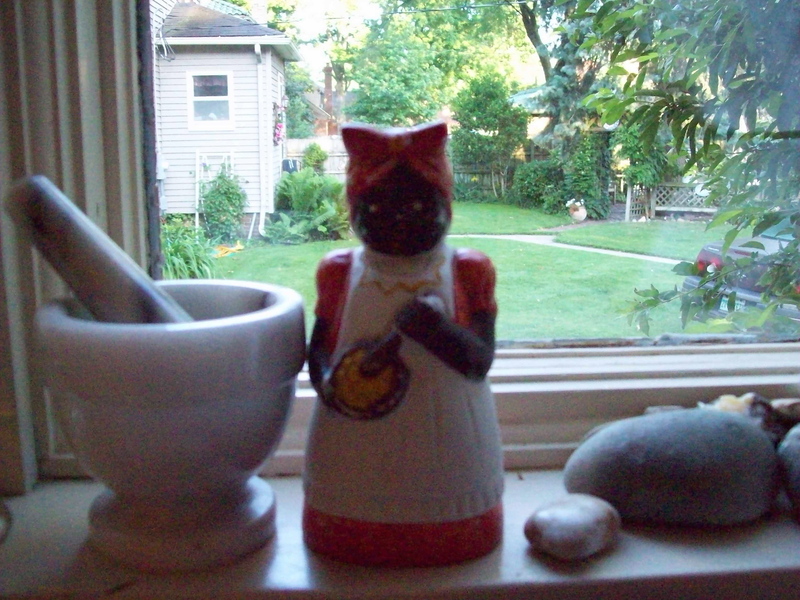 I passed the ceramic mammy bank up a couple of times, because I knew what she represented. But I ended up buying her for a couple of reasons. I didn’t want anyone else, who might not know or care to know the history behind such an image to buy her. And I bought it because I wanted to reclaim and honor the image. 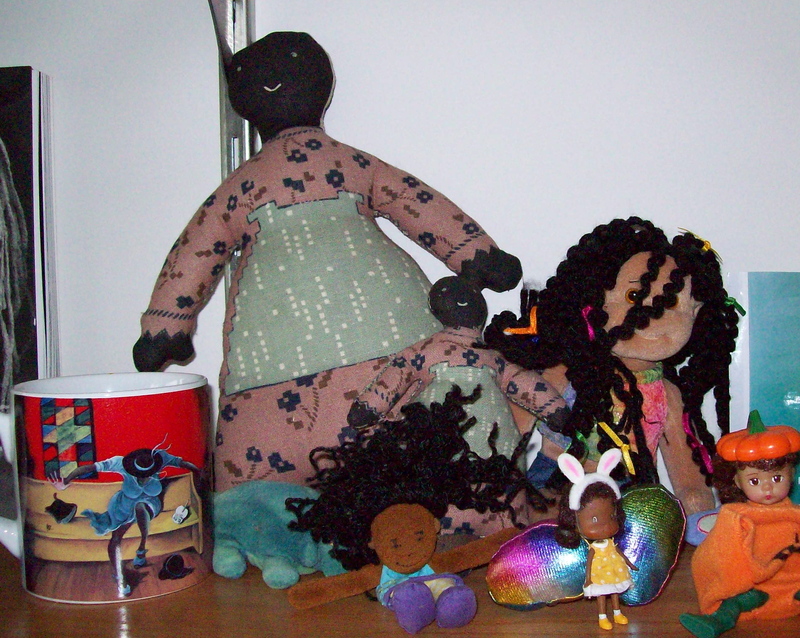 There is a long going debate about the meaning and use of black images, especially about what to do with items that were once seen as innocuous/funny by the dominant culture, and are now seen as ironic. It is important to understand that these images were originally created to depict black women in a certain way, to “teach” society how to view us, how to think about us, what we were capable of, and what it is permissible to do to us. Images are important. They tell a story – nay, many stories. And some of us are heavily invested in who tells the stories, who controls the images, and why.